Vormetric Application Encryption is a library that encrypts files or columns in databases, big data nodes, container and platform-as-a-service (PaaS) environments, allowing programmers to simplify the process of adding encryption to applications. The solution, which is managed through the Vormetric Data Security Manager (DSM), allows customers to centrally manage and securely store their encryption keys. 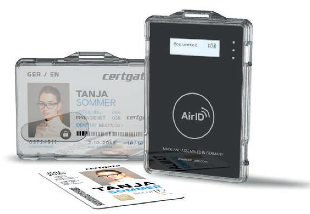 Vormetric Application Encryption is a particularly useful tool for customers needing to meet data protection mandates, such as the Payment Card Industry Data Security Standard (PCI DSS) and the European General Data Protection Regulation (GDPR). nShield XC Solo and nShield XC Connect are the latest models in Thales’s HSM portfolio, delivering accelerated cryptographic services to a variety of applications across the network. These hardened, tamper-resistant platforms perform functions including encryption, digital signing, and key generation and protection. With their comprehensive capabilities nShield HSMs support an extensive range of applications, including certificate authorities, code signing or any other application that uses digital keys, either on premises, or in virtual or cloud environments.